The Motorola APX 7000 Radio Holder is made from full grain leather and has an adjustable leather closure that secures the radio in place. The holder also has a strap that secures the radio from the top to keep it from shifting upward during vigorous motion. 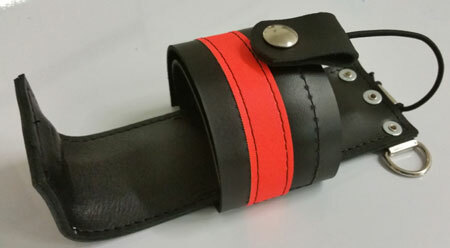 Metal rings are secured to the holder for attachment to any radio strap and is a lightweight, streamlined design. 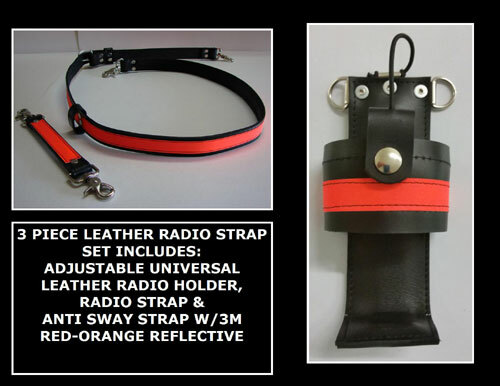 3M Scotchlite Reflective is sewn onto the radio strap and anti sway strap, and radio holder.